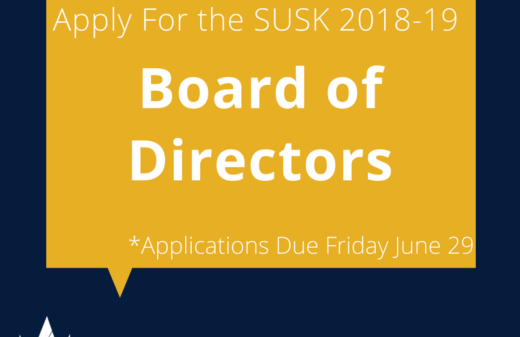 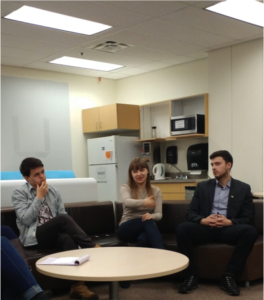 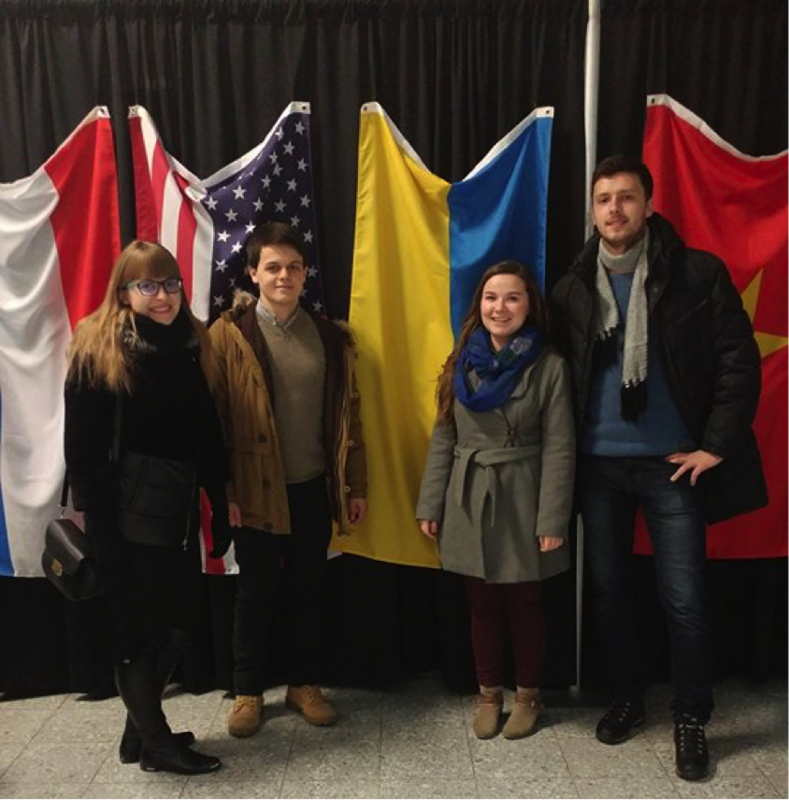 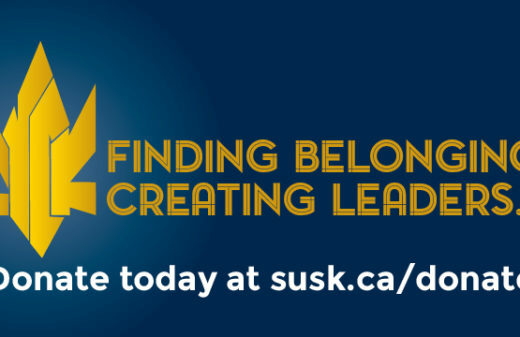 On the evening of January 30, 2017, Internal Relations Director Kimberly Gargus, Secretary Ivanka Soletsky, Vice President West Natalia Radyo, and External Relations Director Stephanie Nedoshytko, met with three student government leaders from Ukraine to discuss the workings of SUSK and the comparison of student government in Canada and Ukraine. Zarina Khalimon (National University of Kyiv-Mohyla Academy), Taras Moroz (Ternopil State Medical University), and Mykhailo Shelemba (Ukrainian Catholic University in Lviv), visited the Students’ Association of MacEwan University in Edmonton, Alberta to observe the structure of the organization in order to aid them in their efforts in Ukraine. 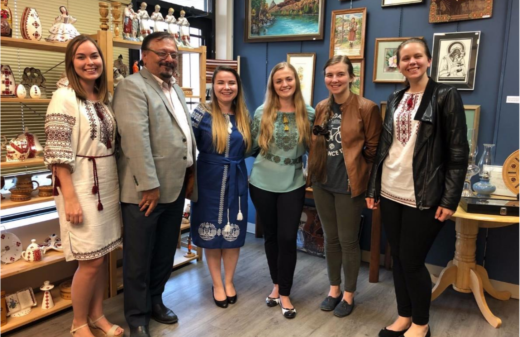 This visit also allowed them to gain a better understanding of Ukrainian-Canadian student advocacy and the activities of the Ukrainian diaspora in Edmonton. 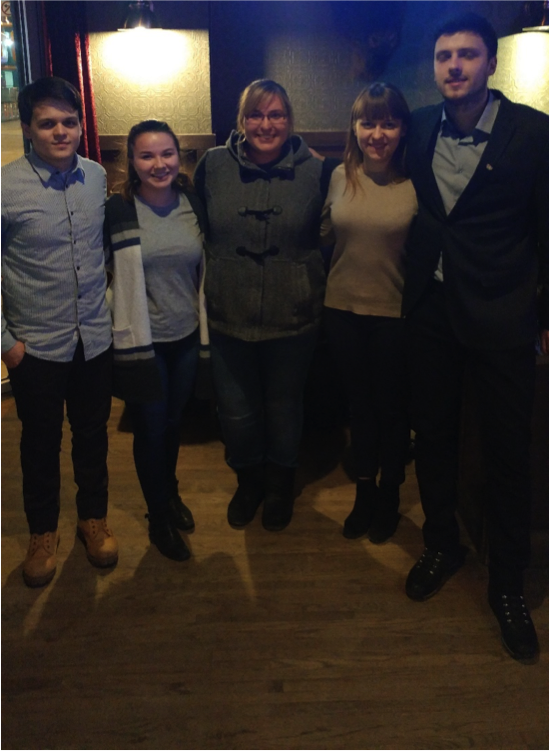 The students were also able to spend time with a SUSK representative periodically throughout the week to further exchange knowledge and best practices.